A GIS Based Model for Land Evaluation Mapping: A Case Study North Delta Egypt. Agricultural Land use planning is mainly attributed to the area of each class of soil capability and its suitability degree. 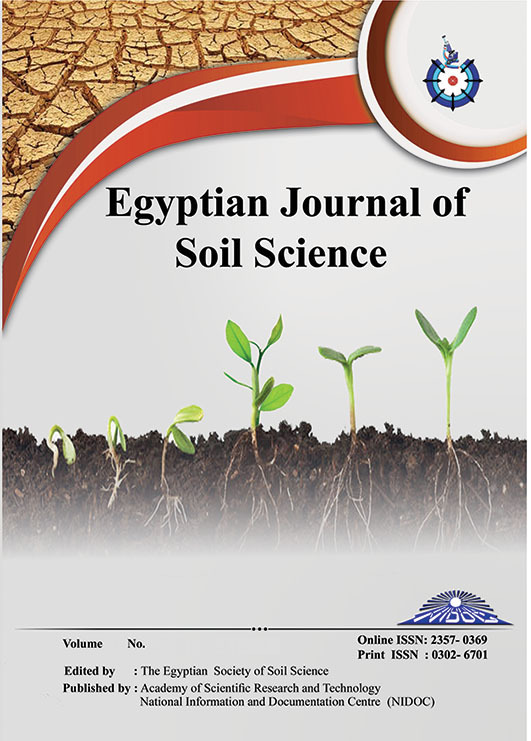 This study was conducted to examine the areas of land evaluation (LE) could be determined based on two approaches; first based on the geomorphology units which were elaborated from remote sensing data for determining the profiles sectors and second based on the spatial distribution of land evaluations parameters using geostatistical techniques (Universal, Kriging) in North Delta, Egypt. The objective of this study was to evaluate the available land resources and produce land evaluations maps using geostatistical method and elaborating LE mainly referring to the physiographic unit. Sixty soil profiles were collected and analyzed for land evaluation assessment. The LE of the study area was classified into C1, C2, C3, and C4 for land capability and was classified into S1, S2, S3 and N1 for land suitability by adopting the logical criteria. The result demonstrates that the study area can be categorized into spatially distributed LE based on soil characteristics and analyzing present land use using geostatistical as well as physiographic units. The result has the potential as a useful tool for guiding policy decision on sustainable land resource management in the investigated area.